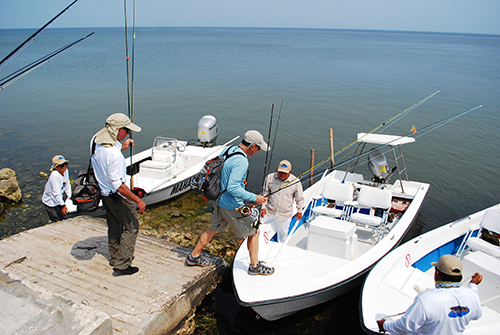 The Campeche Tarpon boats are the best in the region, specially suited for fly fishing and for navigating shallow waters. The comfort that they provide guarantees that at the end of the day of fishing, you and your lower back will be ready to start again the next day. Our guides are individually selected and native to the region. They are not only respectable people, but also experienced fly fishermen, which gives them the precise vision needed to be able to position the boats for perfect casting. They will recommend the best fly depending on the time of day and the climate conditions. They expertly read the tides, which is of utmost importance in shallow water fishing. Rendez-vous point: docking port of San Francisco, Campeche, in front of the shopping Mall Plaza Galerias. In my opinion, in this type of fishing, the reel functions only to hold the line. Fishing among the mangroves requires immediate control over the tarpon, and you seldom have the opportunity to get the fish on the reel. I think of it as hand-to-hand combat of the finest kind. The exception is if you move away from the mangroves and fish the deeper water of the flats. Even then it is rare that you would need to get the tarpon on the reel. Most of the tarpon’s fight is vertical; they really aren’t known for long runs. I favor a leader consisting of 5 feet of 30 pound, 4 feet of 20 pound and a 2-foot bite tippet of 40-pound. 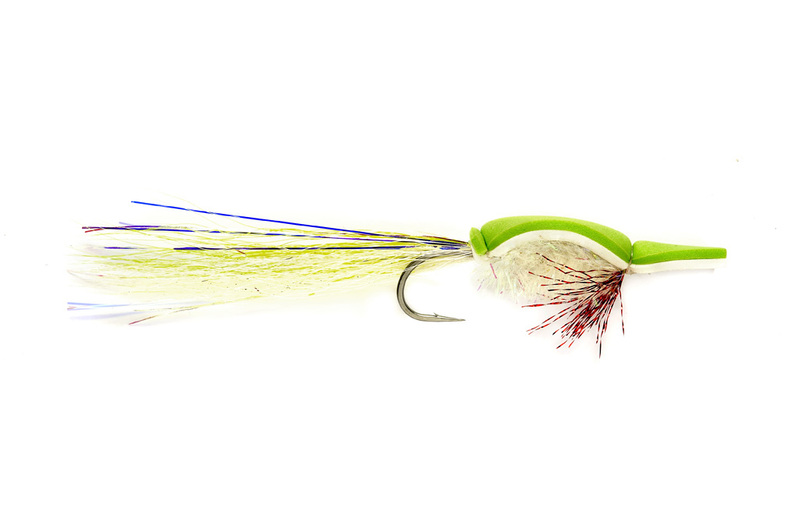 I find I can present the fly more accurately with the tapered leader. I also prefer using fluorocarbon for my leaders, but my friend Alex, jefe(boss) of Campeche Tarpon, tells me that fluorocarbon material sinks too quickly. It is important to check your leader for abrasion after every fish. 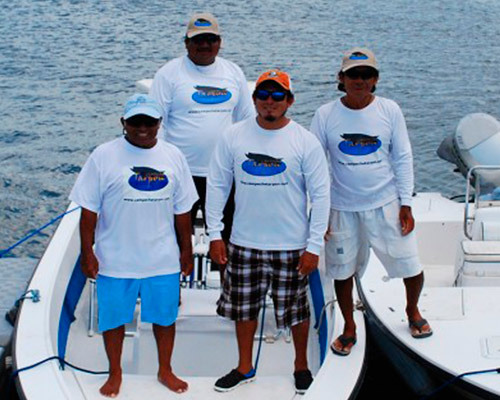 Many different flies are effective for attracting baby tarpon in the Campeche region. The characteristics that successful flies have in common are their relatively small size(size 1 or 1/0 hooks), sparse dressing and liking to swim in the upper portion of the water column. 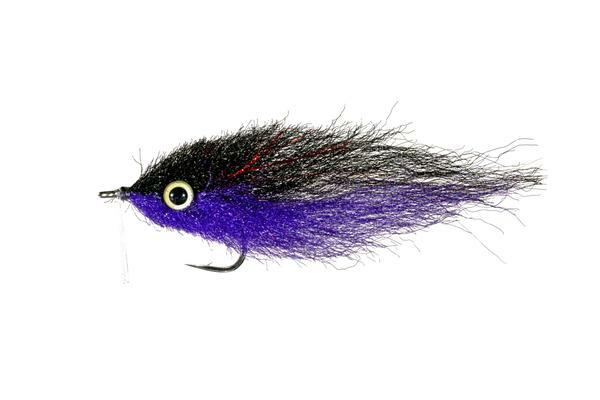 I particularly like four of his sparsely tied Tarpon Toads(chartreuse, red/white and banded), a purple/black EP Tarpon Streamer and, my favorite, the Black Gurgler. I credit the Gurgler with 70 percent or more of the tarpon I landed. The Yucatan Peninsula extends like a thumb into the ocean. The Cancun(east) side of the peninsula is on the Caribbean Ocean with its extensive network of large bays and sandy beaches. Its flats are home to bonefish, permit, snook and tarpon. The Campeche (west) side of the peninsula is on the Gulf of Mexico with extensive mangrove forests, creeks and small lakes. The predominant gamefish here is the baby tarpon. A species of small snook is present. The term “baby” tarpon, although not especially accurate, differentiates these tarpon from the big brutes with which we normally associate the name tarpon. It is convenient to think of any tarpon under about 40 pounds as being a “baby tarpon” while those larger than 40 pounds as being a tarpon. The baby tarpon in the Campeche area range from about 5 to 20 pounds. Except immediately following major storms, the Gulf of Mexico in the Campeche area is shallow and crystal clear. With few exceptions, that means most of the baby tarpon fishing is sight-fishing. The exceptions are fishing in the dark, casting into heavily shaded areas of the mangroves or fishing deep rivers during low tide. In most instances you will see the fish before you cast, and it isn’t uncommon to watch the tarpon inhale your fly. Controlling your reactions while observing a fish swim to your fly was a real challenge for me. Gurgler : This shrimp imitation is deadly when it comes to juvenile tarpon. You’ll have a blast roping fish. Feel free to try whatever color combination you want; our favorite is the black and purple. Ep Mulet : Juvenile tarpon love small baitfish. As one of their primary food sources at an early age a well tied fly can land one of these adolescents. Enrico Puglisi’s Mullet is among one of the best patterns around. 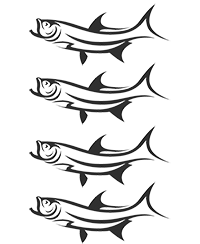 Baby taropn mini diver: An Enrico Puglisi pattern for juvenile tarpon. It has a foam body with a zonker tail. 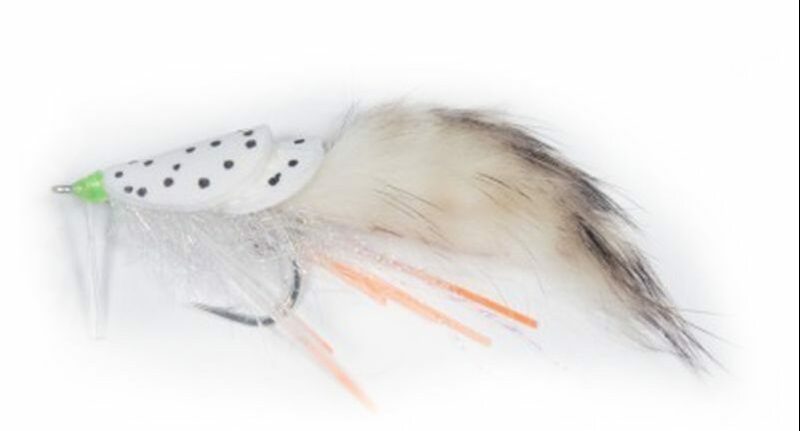 When retrieving the fly, it dips and dives, creating an irregular swimming pattern, mimicking an injured baitfish. 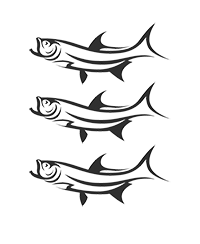 The tides significantly impact the movement of the tarpon during the day. As a general rule, each 24-hour time frame has two periods of high tide and two periods of low tide. 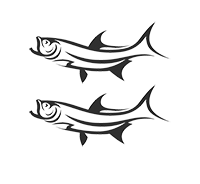 Although there isn’t a great vertical difference between the two tides, usually 3 feet or less, the fluctuation greatly influences the feeding behavior of the tarpon. During periods of low tide, the baby tarpon are found in deeper water away from the shoreline or in brackish rivers that drain the mangrove forest. But as the tide rises, the tarpon move toward the shoreline along the edges of the mangroves. This is when the fishing is at its absolute best. In fact, the ideal situation to hook baby tarpon is on an incoming tide just prior to daylight. At high tide, the tarpon are generally in the mangroves feeding on shrimp, crab and small baitfish. At this time the guides will The mangroves are an essential forage area for baby tarpon. 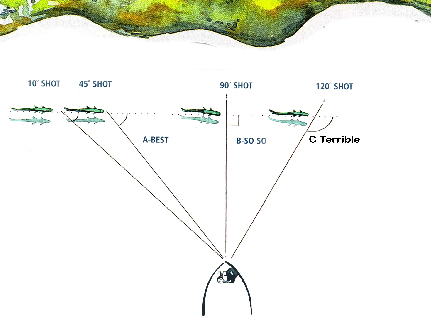 Most of the tarpon the author hooked – not necessarily landed – have been in close proximity to the edge of the mangroves. pole the boat up small creeks and into large openings they call lakes in the middle of the mangrove forests. Here it is possible to get some good casts to small schools of baby tarpon. Steve lives in Springfield, Missouri, and is a retired biology professor and department head from Missouri State University. He is a life member of the IFFF, a demonstration tier and coauthor of the No. 1 book on mayfly taxonomy,“The Mayflies of North and Central America.” In his spare time he frames the fly plates for the Federation’s Legends of Fly Tying Fly Plate Project.